Dr. LEE Jaehyon is a senior fellow of the Center for ASEAN and Oceanian Studies at the Asan Institute for Policy Studies. Previously, Dr. Lee was a research fellow at the Korean Institute of Southeast Asian Studies (KISEAS) and a visiting professor at the Institute of Foreign Affairs and National Security (IFANS), Korean National Diplomatic Academy (KNDA). 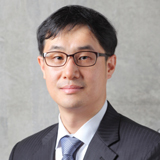 Dr. Lee’s research focuses on Southeast Asian politics and international relations, East Asian regional cooperation, and non-traditional and human security issues. His recent publications include “Transnational Natural Disasters and Environmental Issues in East Asia,” IFANS Review (2011), “Political Crises after Democratization in South Korea and Thailand: Comparative Perspectives of Democratic Consolidation,” Korea Observer (2008), “A 2+2 for the Future: The First Korea-Australia Foreign and Defence Ministers’ Meeting,” (2013), “Identifying South Korea’s Regional Partners: On the Environment, Family Values, Politics and Society,” (2015). Dr. Lee received a B.A. and M.A. from Yonsei University and his Ph.D. in politics from Murdoch University, Australia.